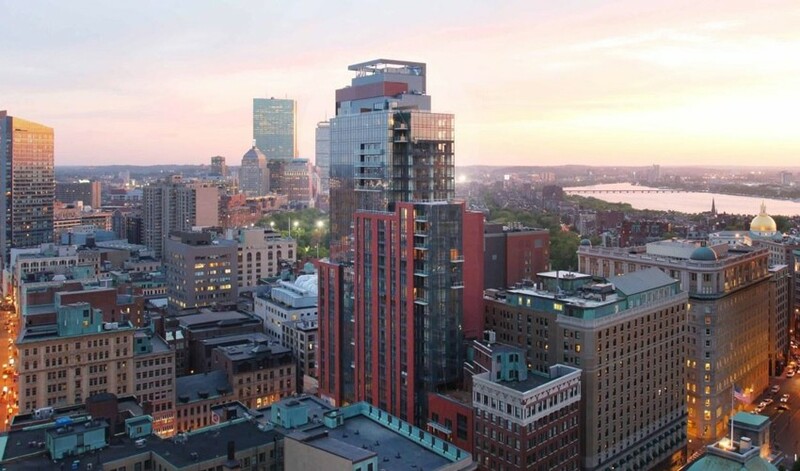 This 31-story mixed-use residential building in Boston’s Midtown Cultural District features 25 stories of luxury condominiums, ground floor retail, and a parking garage. Hailed as a modern classic, the building was designed by Bruner/Cott & Associates and was the recipient of the 2009 New England Design Award from the American Institute of Architects. Sunrise was responsible for the entire metal panel scope for the exterior façade.